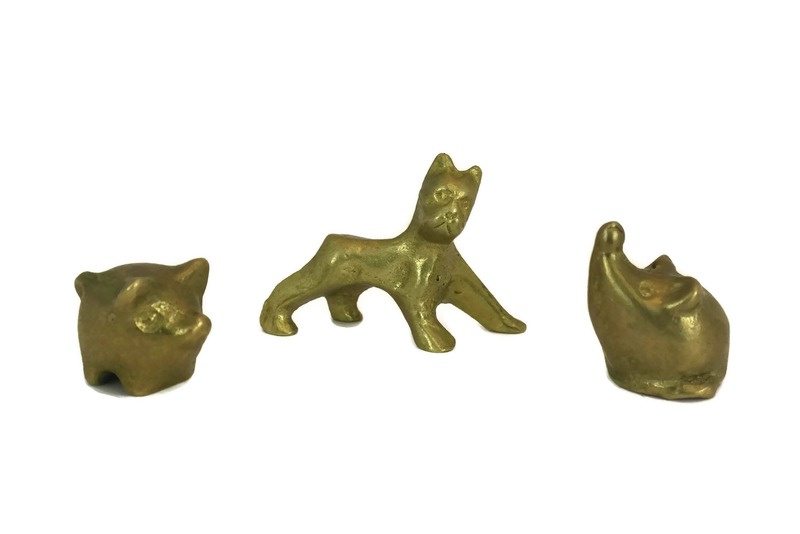 A cute trio of French vintage brass animal figurines dating to the 1980's. 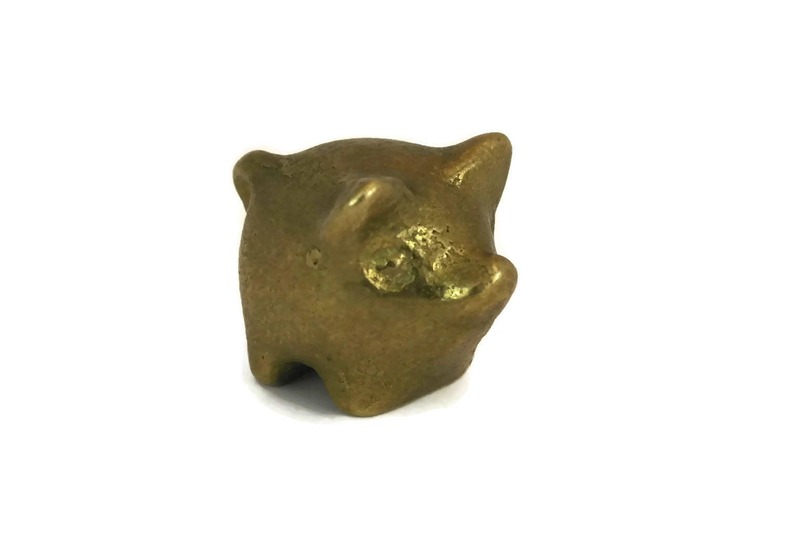 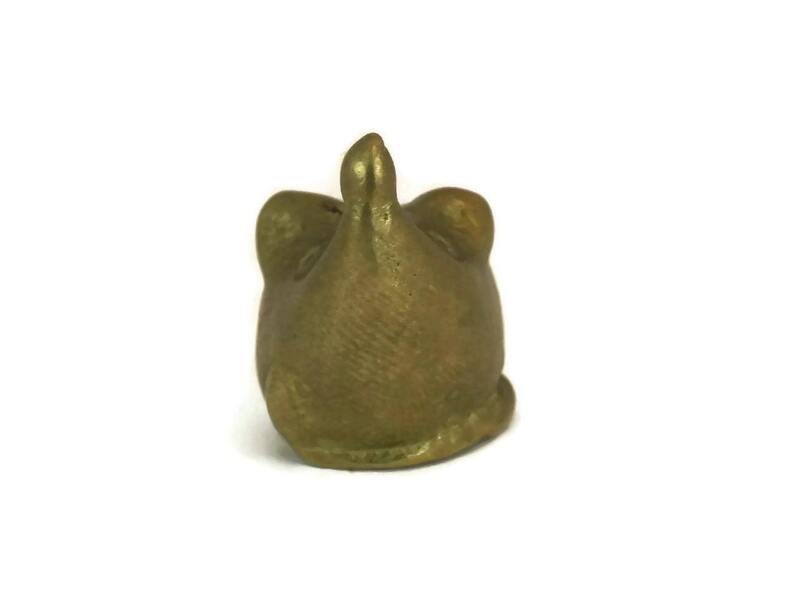 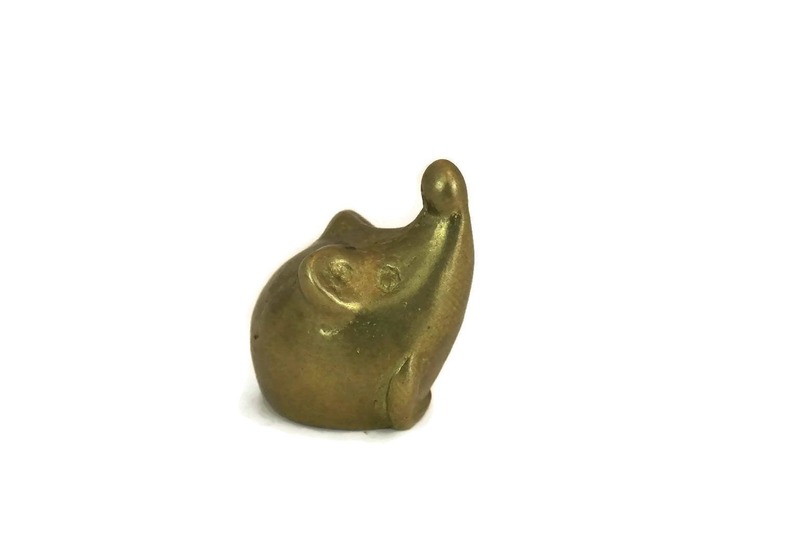 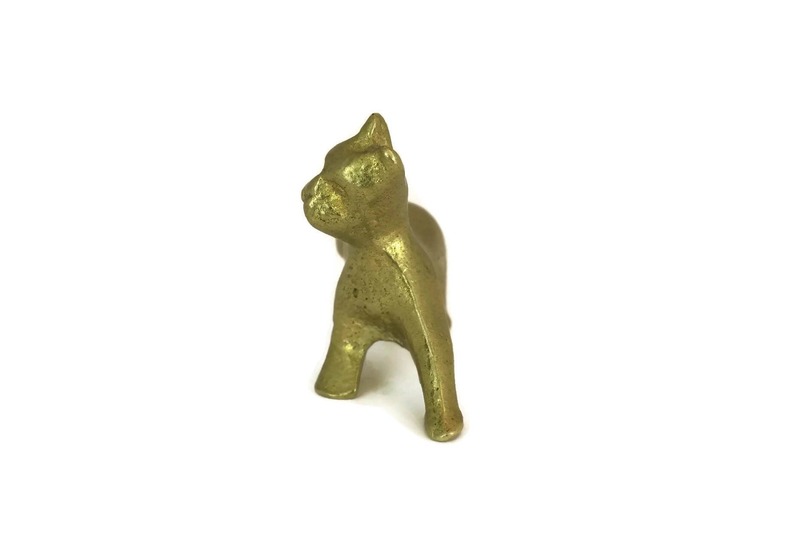 The figurines feature a dog, a pig and a hedgehog cast from solid brass and finely crafted. 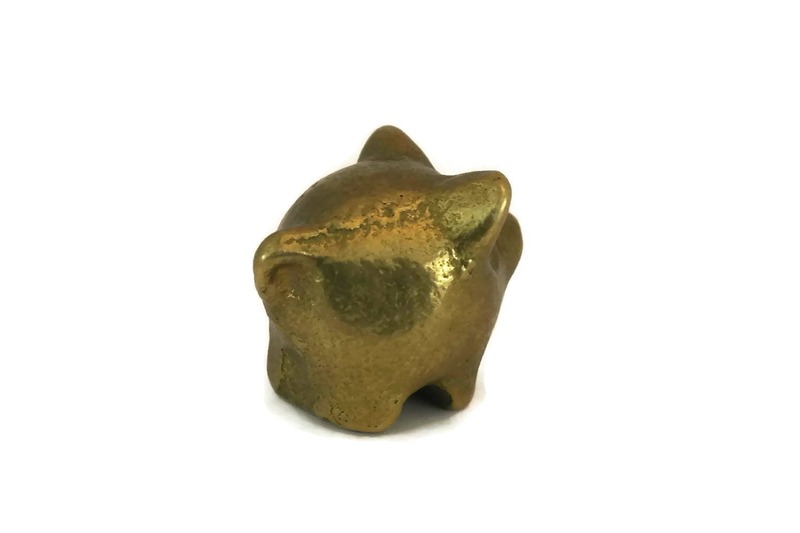 The minimalist miniatures can be used as paperweights. 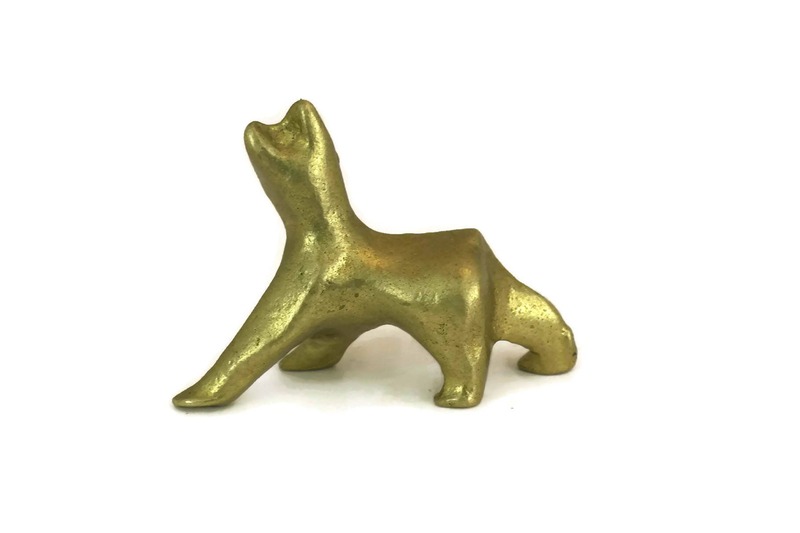 Dog: 1 3/4" long and 1 1/4" Tall (4,5 cm x 3 cm). 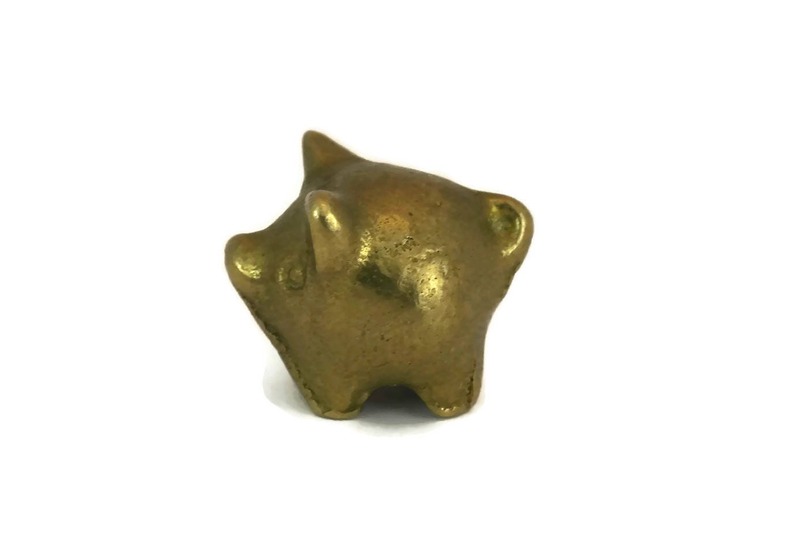 Pig: 1" long and 3/4" Tall (2,5 cm x 2 cm). 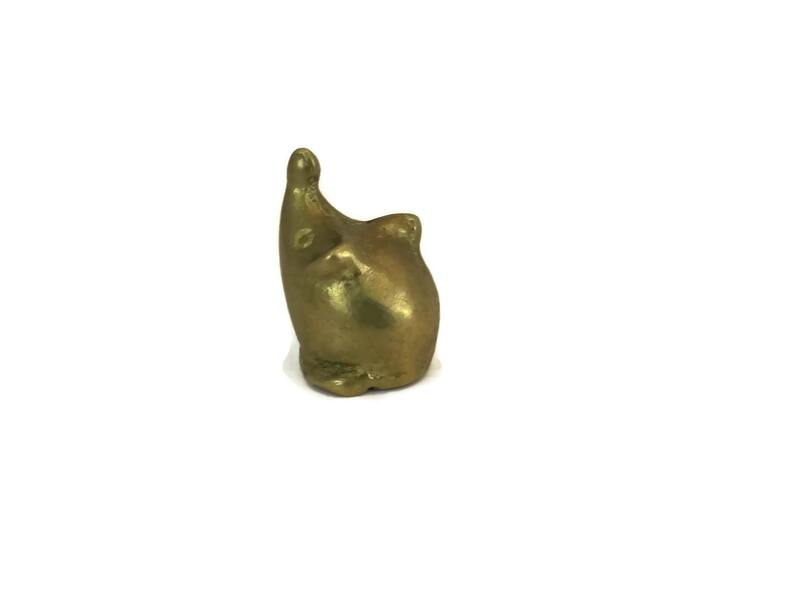 Hedgehog: 3/4" long and 1" Tall (2 cm x 2,5 cm). 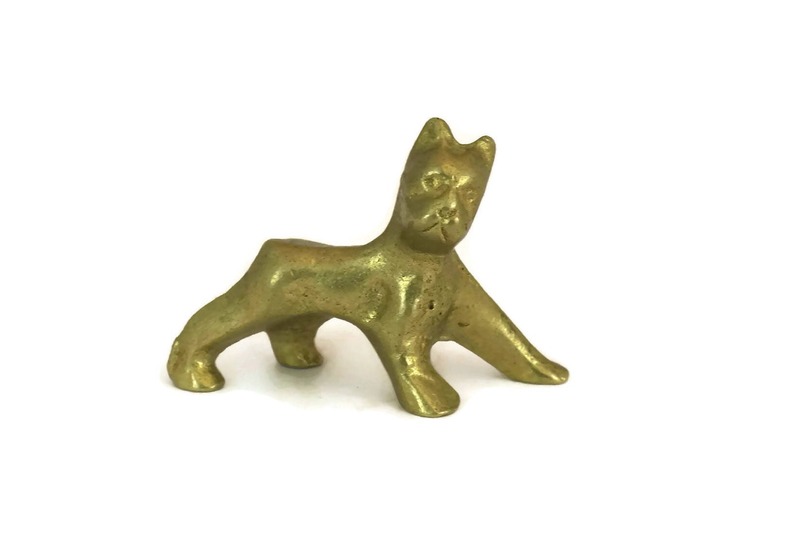 Each of the miniature animals is in very good vintage condition with a rich patina to the brass.